Jane Toombs, born in California, raised in Michigan's Upper Peninsula, has moved from upstate New York to Carson City--the result of falling in love with Nevada as well as a Nevadan. Jane has five children, two stepchildren, seven grandchildren, a calico cat named Kinko and two computers. 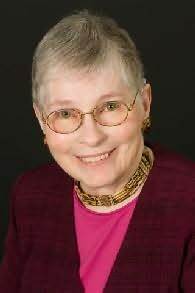 She's the author of 54 published books, which include the various romance genres--gothic, suspense, contemporary, historical, Regency and paranormal--as well as other genres such as mystery, fantasy and horror. Jane has used pseudonyms: Ellen Jamison, Diana Stuart, Olivia Sumner--but is now writing under her own name except for her Pinnacle historical romances for which she uses Jane Anderson.